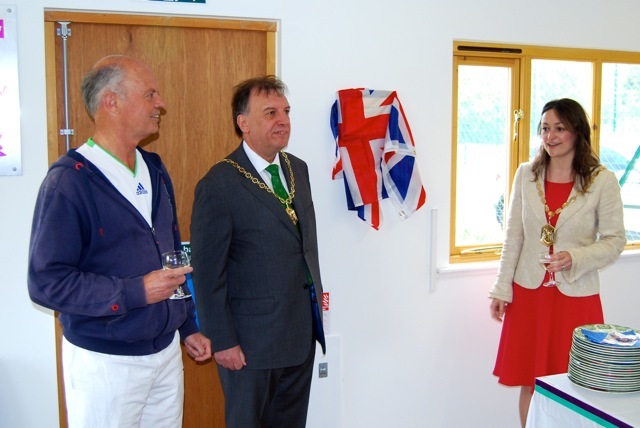 June 1st was the official launch of the new premises in Meadowview Road and we were pleased to welcome the mayor Krystal Miller and MP Stephen Hammond to help with the official opening. 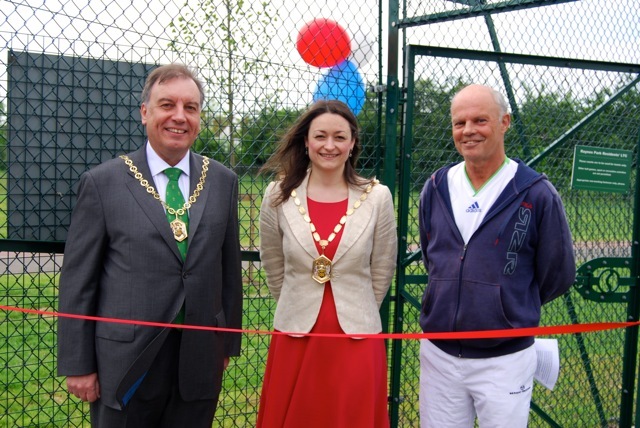 Paul Sadler, the club chairman, gave a speech thanking Bellways, the developer, for providing five brand new courts and a club house, Sport England for providing a grant to help with the move in particular covering the cost of floodlighting, Phil Ryder and Andy Knap for their huge efforts in organising the move over several years and the committee of volunteers who have all contributed to the success of the club over the last 60 years. 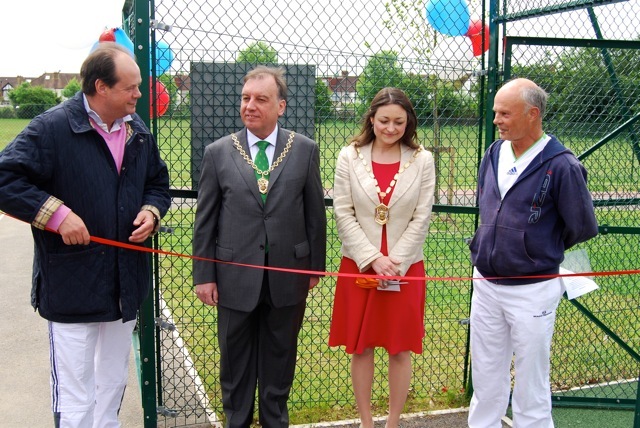 In particular there was special mention for the Launch Day sub-committee consisting of Gill Wood, Nicky Hudson, Neville Attwood, Chris Goldhawk and Sean O'Regan and also to Maura Buckley for organising the catering. 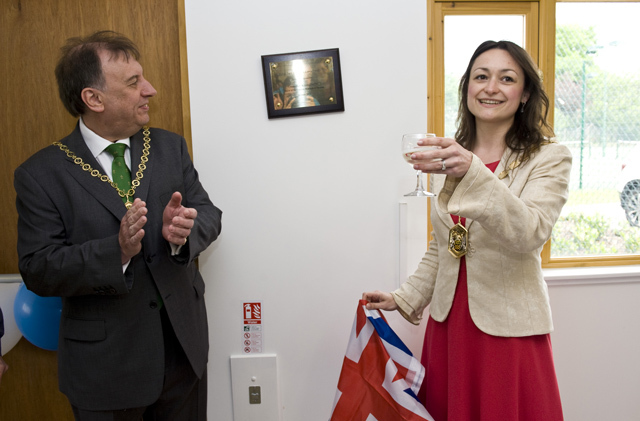 Mayor Krystal Miller did us the honour of cutting the ribbon and unveiling a commemorative plaque. 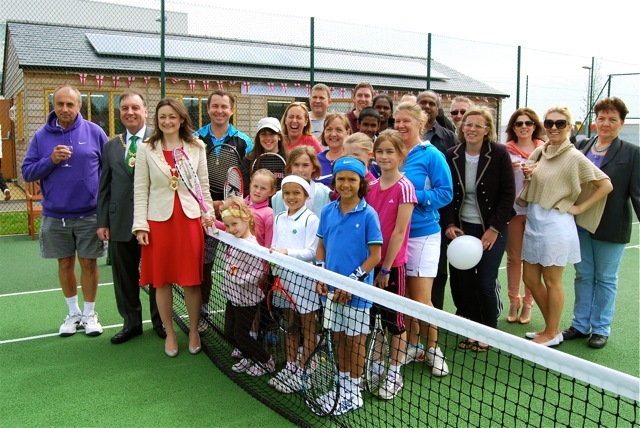 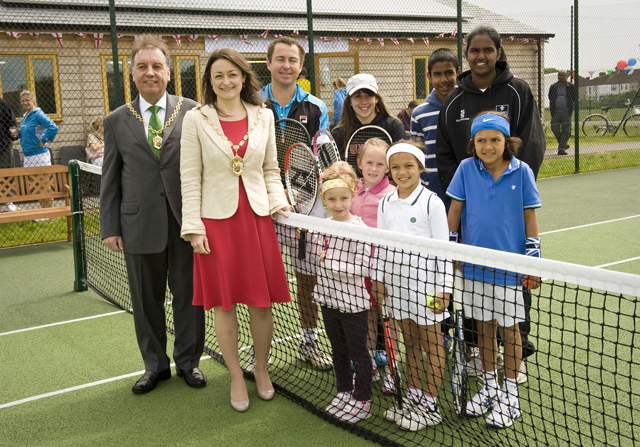 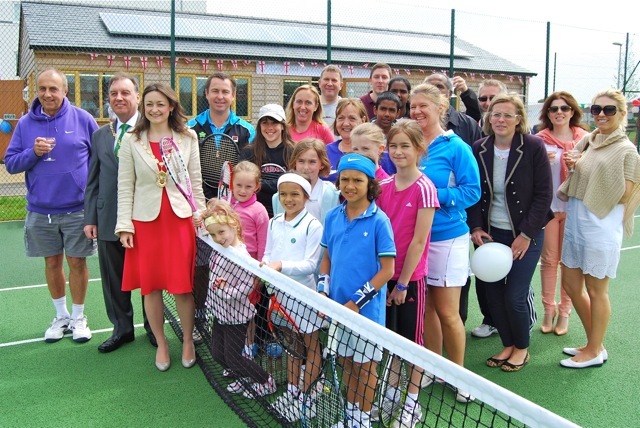 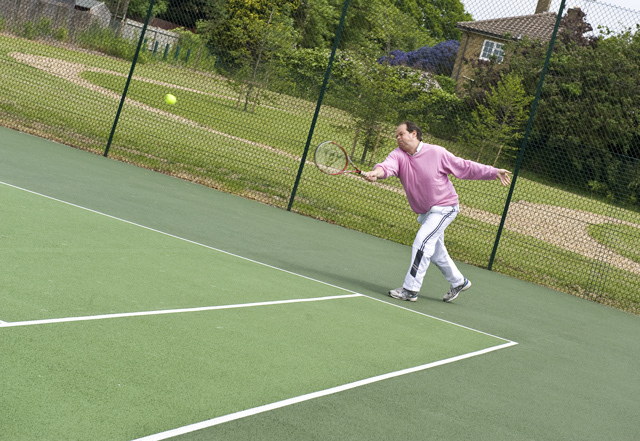 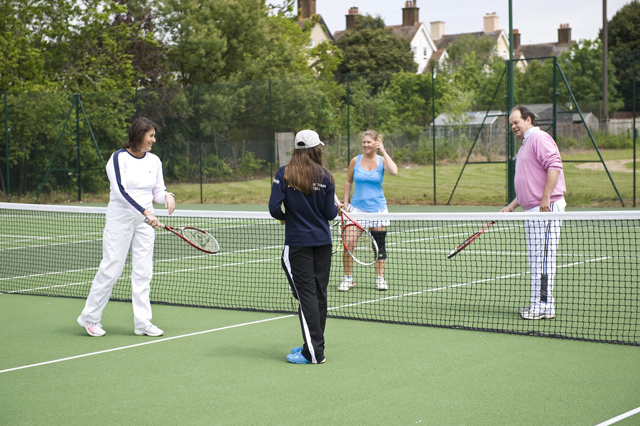 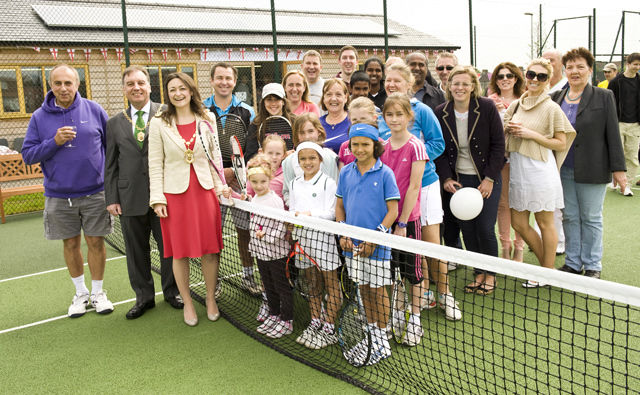 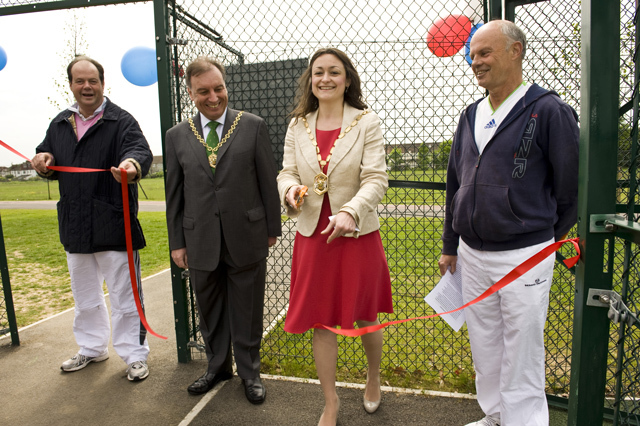 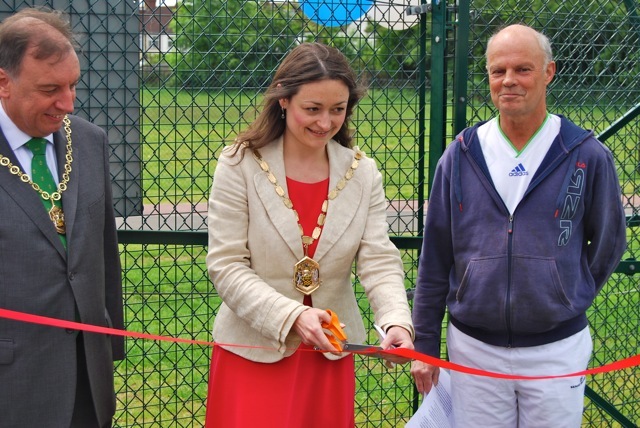 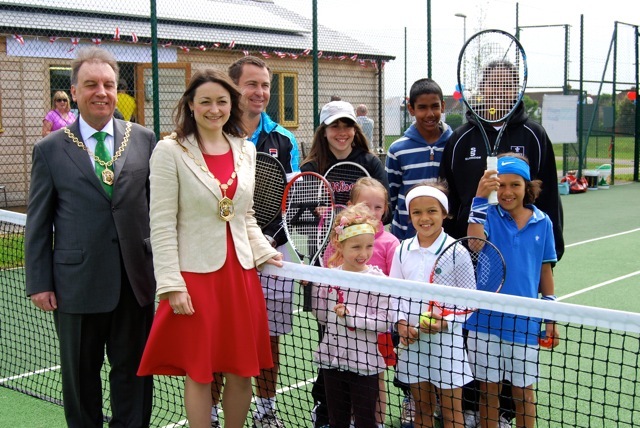 MP Stephen Hammond helped to christen the courts by playing out a doubles set in which he was beaten easily by his wife Sally and a 12 year old girl, Jodie Lawrence-Taylor. 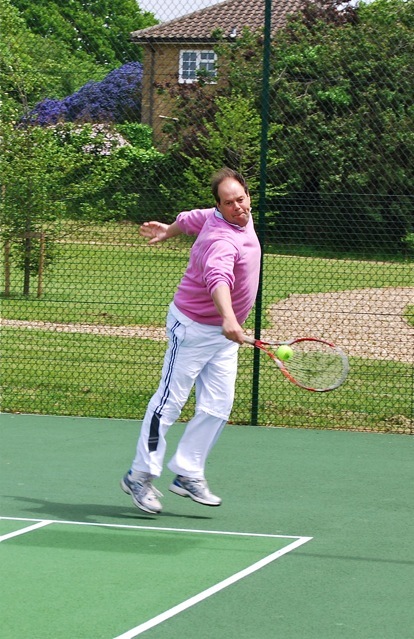 Having said that Jodie is one of the most promising youngsters in the country, so there is no shame there, Stephen. 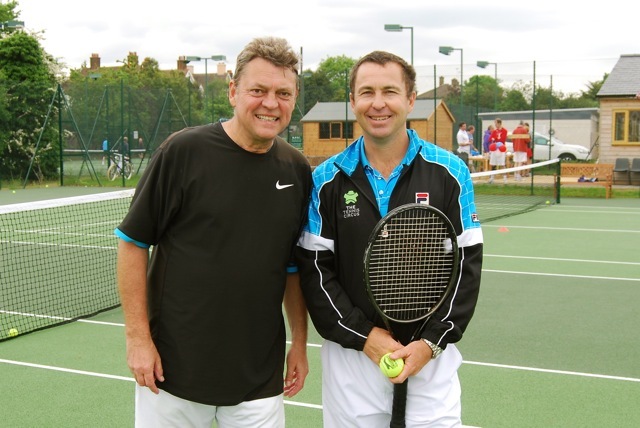 The afternoon continued with ex-Davis cup player, Danny Sapsford running a “tennis circus”. 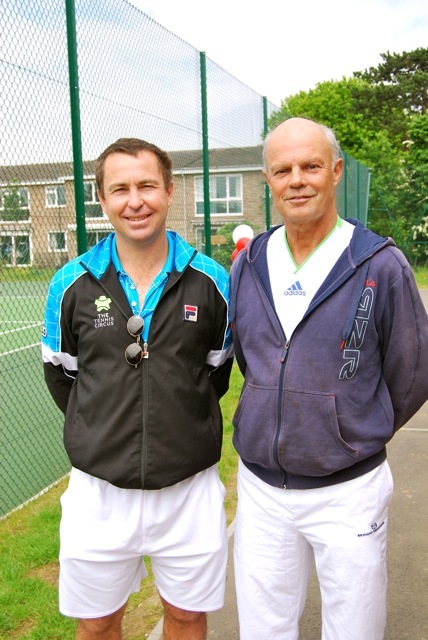 This was four coaching sessions offered freely to the club members as a thank you for their support. 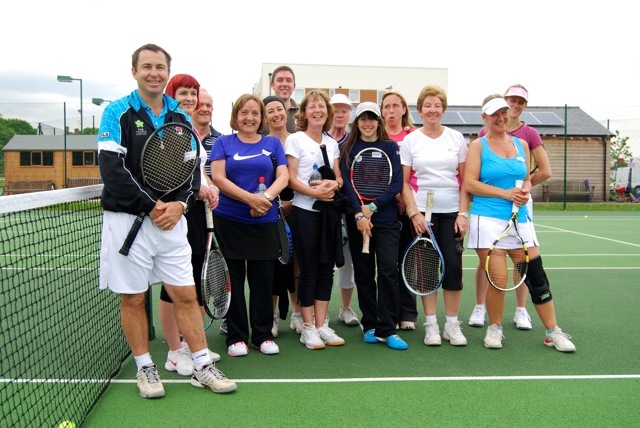 Danny showed his sportsmanship later on by joining three lucky members for a couple of sets in the late afternoon sunshine. 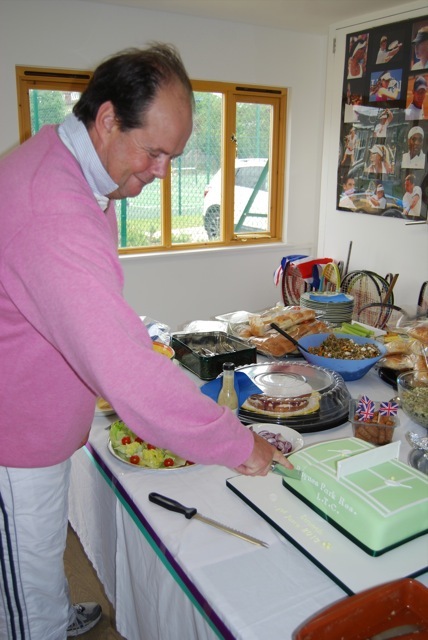 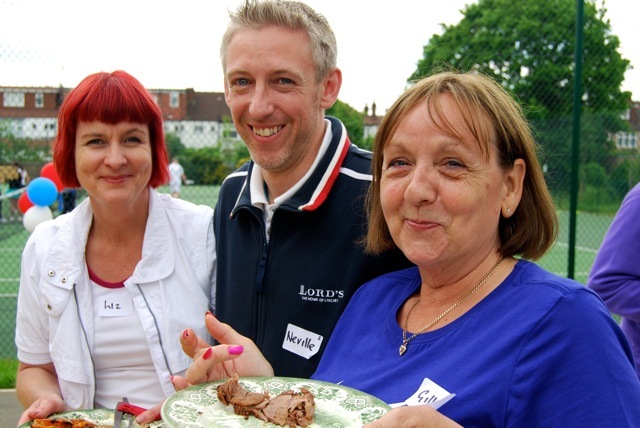 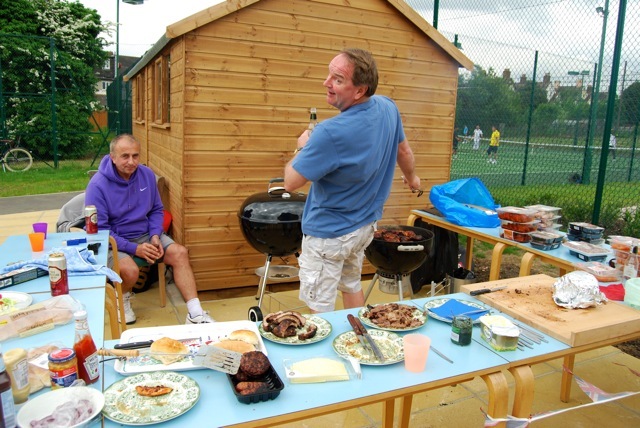 The festivities on the day included a fabulous buffet spread with a specially made tennis cake which was cut by Stephen Hammond, an ongoing barbeque (orchestrated by Master of the Tongs Graham Keir) and a charity raffle with proceeds going to St Raphael’s hospice.